Legacy of Leesburg features 275 acres of conservation areas and miles of trails in Central Florida. 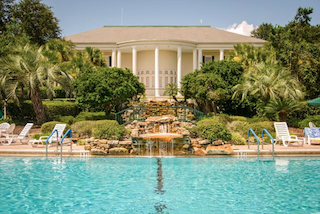 Northwest of Orlando, Leesburg is a prime Florida retreat for retiring active adults. This small city is nestled between Lake Griffin and Lake Harris, providing a scenic getaway in the heart of Central Florida. Leesburg is also home to several affordable active adult communities, which feature homes and amenities specifically designed for residents age 55 or better. Leesburg is a small Central Florida city which covers just over 24 square miles. The city is within 45 minutes of both Orlando and Ocala. It is also within 90 minutes of popular coastal attractions like Tampa, to the west, and Daytona Beach, to the east. Like most of Central Florida, Leesburg has a warm, humid climate with hot summers and mild winters. High daytime temperatures during the summer months are often in the low 90s, while winter days are likely to be in the high 60s or low 70s. Thunderstorms are frequent in the summer and light rain is common throughout the year, although the area also gets plenty of sunshine. The City of Leesburg features both small-town charm and modern conveniences. Residents can visit charming historic sites, such as the Mote-Morris House, or shop national chain stores at the Lake Square Mall. The city is also known for its annual Leesburg Bikefest, although the area is mostly popular for being a tranquil retirement destination within easy access to Orlando-area attractions. Plantation at Leesburg is a luxurious gated active adult community offering world-class amenities. Several major highways pass through or near Leesburg, making it very easy for residents to explore the surrounding area or take trips throughout Florida. These roadways include U.S. Highway 27, U.S. Highway 441 and the Florida Turnpike. Nearby attractions in the Orlando area include world-class theme parks, like Walt Disney World, Universal Studios and Sea World. Orlando also features retail centers, restaurants, golf courses, outlet malls and much more. North of Leesburg, the Ocala area is known for its equestrian centers and the beautiful Ocala National Forest. Active adults who plan to retire in Leesburg have many exciting options. Age-restricted developments throughout the area offer affordable homes and resort-style amenities. 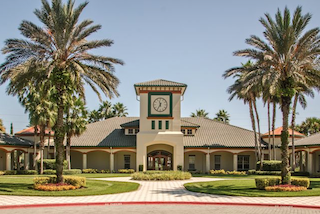 Gated communities, such as Plantation at Leesburg and Royal Highlands, feature on-site golf courses and amenity-rich clubhouses. While many Leesburg communities are well-established, there are some developments offering both resale and new construction homes. These newer communities include Legacy of Leesburg and Arlington Ridge. While Leesburg offers a tranquil setting with plenty of small-town appeal, the city is also within close proximity of many popular tourist destinations. This dual appeal makes the Leesburg area a prime place for an active adult retirement.